Allegra Boverman/Gloucester Daily Times. 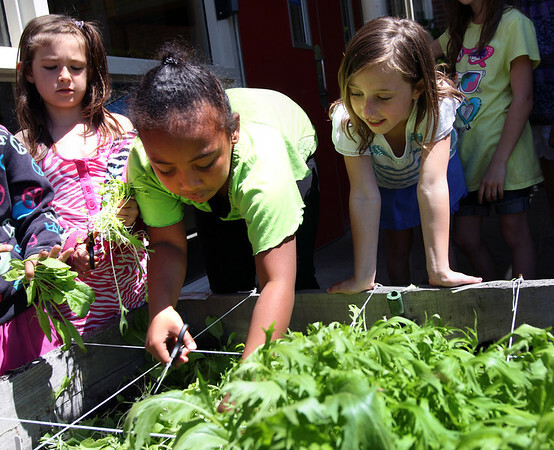 Veterans Memorial Elementary School students were harvesting a variety of greens on Wednesday from their gardens and then were to eat them in salad for lunch on Thursday. They also planted seeds for beans that they will harvest in the fall. At center is second grader Chantel Avila, and from left around her are Mia Croce and Isabella Forbes.